Just three miles from Blackburn but with a real village feel, the Millstone at Mellor is rightfully proud of its AA rosette for the quality of its food. 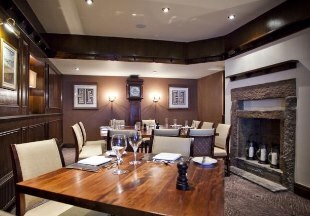 Locally sourced ingredients, real ales and a good wine list all make for a great dining experience. The inn is very conveniently situated, 15 minutes drive from Preston and 40 minutes from Manchester. This historic inn dates back to the 1600s and is full of character and charm. Surrounding by picturesque Lancashire countryside, the inn is popular for walkers exploring the Ribble Valley. 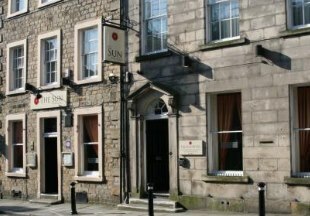 The Sun Hotel has been welcoming guests since the 17th century. All rooms boast Italian influenced en-suite bathrooms. 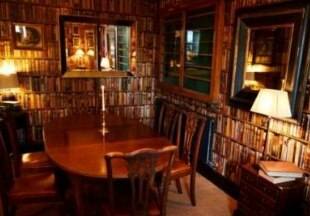 Situated below the hotel is an award winning bar with cask ales, malt whiskies and over twenty wines all available by the glass. The hotel is ideally situated in the heart of historic Lancaster for all the city's tourist destinations. This 17th century coaching inn nestles by the River Wyre on Lancashire’s Fylde Coast and offers traditional features with contemporary style. An open wood fire welcomes guests in the bar lounge area. Food, from an informal snack to a three-course meal, is served throughout the bar lounge, alcoves and for a more formal experience, in the ‘River Lounge’ overlooking the River Wyre. Although in the heart of the Fylde Coast countryside the “Cartford” is less than ten minutes from the M55 Junction 3 and equal distance from nearby Blackpool. Enjoying stunning river views yet just a stone's throw from the M55 motorway, and nestled in Lancashire's finest rolling countryside, the Shard offers a relaxing get-a-way from the hustle and bustle of modern life. Our riverside restaurant serves local Bowland Ales and a wide choice of Lancashire dishes all prepared using the best in local produce. Our 23 bedrooms are tastefully decorated with most enjoying stunning, panoramic river views. All rooms have free WiFi, plus internet connected TVs for your modern convenience. You will find this old coaching inn nestling within the Forest of Bowland in the heart of the Ribble Valley. The inn sits between the River Ribble and the remains of the 12th century Cistercian Sawley Abbey. 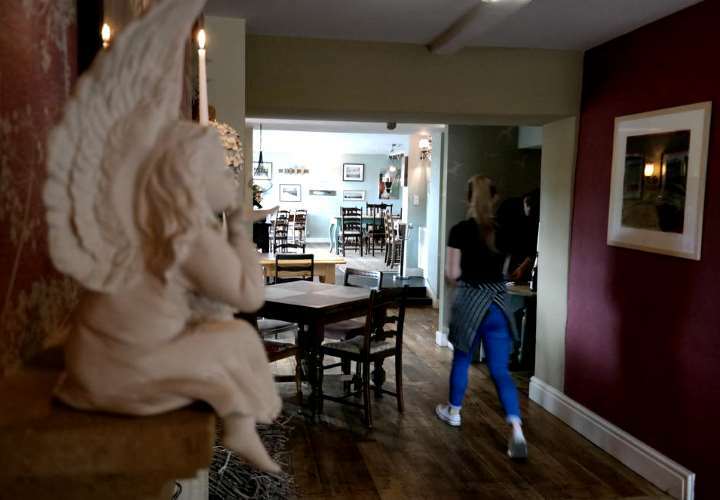 This lovely old Inn features open stonework, fireplaces, flag floors and oak beamed ceilings, and boasts seven luxury bedrooms Open all day serving food and hand pulled ales, the Spread Eagle is truly at the heart of its community. 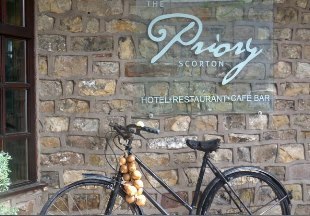 Just 15 minutes drive from the M6 motorway, the Priory Inn is situated on the edge of beautiful Bowland Forest. A destination in its own right, this country inn boasts its own bakery, shop, cafe bar, restaurant and boutique-style bedrooms. Welcome to our selection of historic hotels and inns in Lancashire. Lancashire is a wonderful mix of the urban, rural and coastal. Britain's favourite seaside resort, Blackpool, is here, along with Morecambe and the Fylde coastal resorts. But there's much more to Lancashire than seaside resorts. Historic Lancaster Castle is where the Pendle witches were tried. The stunning scenery of the Lune Valley, Ribble Valley and Forest of Bowland attracts walkers and cyclists from all over the country. 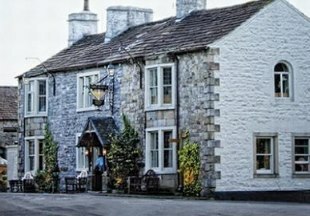 There are gorgeous country pubs and inns in Lancashire, and we have tried to select the best in our selection below. Amongst others, we have included country inns for walkers, riverside inns for fishermen, gastro pubs for foodies and luxury hotels for those special occasions. "Largely overlooked and therefore never too crowded, the Ribble Valley, Lune Valley and Forest of Bowland are simply perfect for walkers. And rich with stunning country inns and pubs! Like the historic Shireburn Arms, with its stunning views over the beautiful Ribble Valley. Or the Spread Eagle at Sawley, all that an inn should be; flagstone floors, roaring log fires, local real ales and great food served all day." Lancashire is bordered by Cumbria, Greater Manchester, Merseyside and Yorkshire. 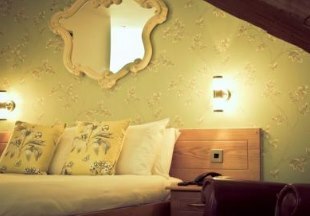 If you want to widen your search, why not browse through our selection of hotels and inns in Cumbria and the Lake District, Greater Manchester and hotels in Yorkshire.